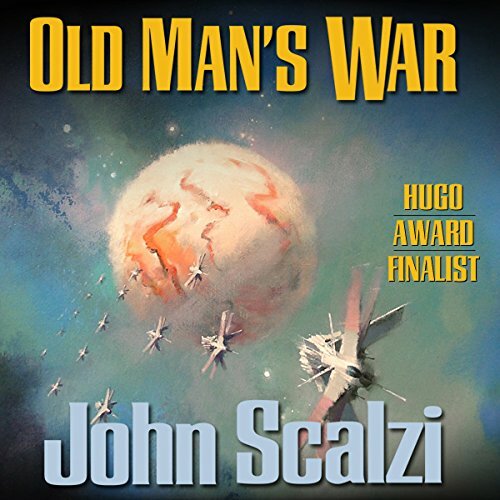 Old Man’s War by John Scalzi was the first book that I downloaded with my Audible subscription as I had heard from various sources (including the Sword and Laser podcast) that it was a great read. I have to say that, after reading the novel, I agree wholeheartedly. Old Man’s War was one of the best novels that I’ve read all year. 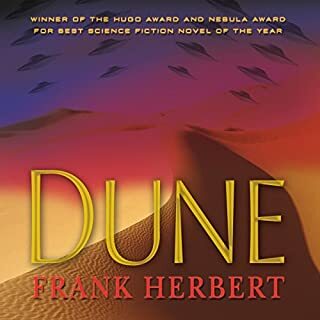 I would even go so far as to say it’s one of my favorite science fiction novels period. From the start, I really got a kick out of the conceit of the story. In some future United States, elderly people are recruited to enlist and serve in the intergalactic military. 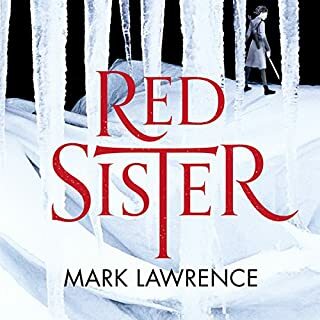 With so many novels following a young protagonist (even many adult novels), I found it to be a very refreshing experience to read a novel where the main character was 75 years old. In addition to that, I really enjoyed Scalzi’s writing style. It had just right combination of dry wit and cynicism to really resonate with me. 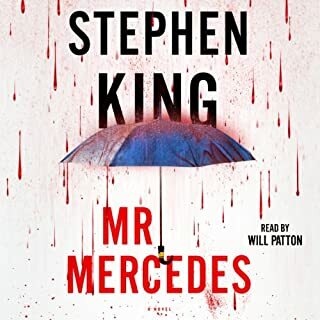 I should also extend that compliment to William Dufris, the narrator of the audio version that I listened to. I thought he did an excellent job. His tone was perfect for the main characters of the novel. 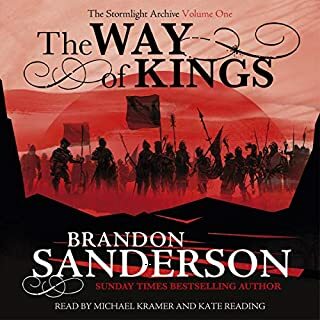 I don’t want to give anything away in my review so I won’t go into too much detail about the plot, but I really did enjoy the story line a great deal as well. The novel is very much a military story filled with battles and typical military life. In that way, it reminded me of Joe Haldeman’s Forever War, but what I liked about Old Man’s War was a bit lighter and more fun. 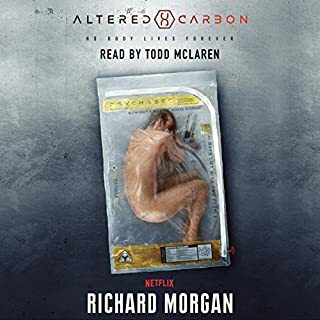 The novel really roped me and I had a lot of fun listening to it. In fact, I tended to listen on my iPod while running, giving me the perfect excuse to exercise regularly. 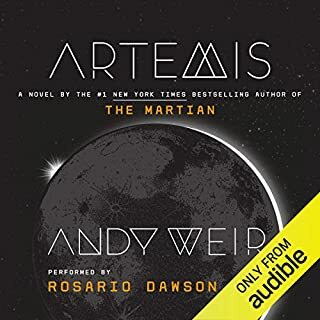 Overall, I really enjoyed the novel and I would recommend it to any science fiction reader. 115 sur 117 personne(s) ont trouvé cet avis utile. This book reminds me of Heinlein ??? which is about the greatest compliment I can give a Sci Fi author. This book has multiple levels. It blends humor with social commentary, politics with action. The Sci Fi is merely a framework for the story and characters (which is as it should be). The characters are multifaceted and change substantially as the story evolves. The story has a lot of funny bits, but the story includes nice emotional and intellectual content. This book made me want to read everything by this author. 70 sur 75 personne(s) ont trouvé cet avis utile. This is not good, it is GREAT!!!! 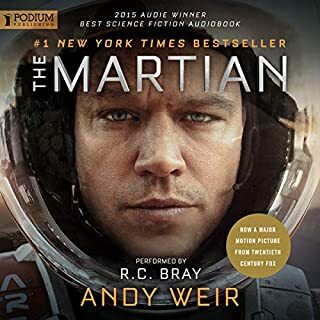 It's Science fiction, it's Military Sci-Fi, it's a romance, it's witty, LOL at times, it is character driven, it is everything I ask for in a novel. I think the older you are and the longer you have been happily married the more you will enjoy this. It is so nice to listen to a novel, where elders are respected. The main character was married for around 42 years, if I remember right. They had some ups and downs, but they were in love. As a man who has been married for over 37 years and who is more in love now than when I was as a youth, I feel the pain and longing of the main character. 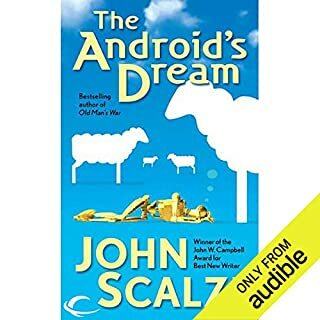 The science fiction is cool and this platform gives Scalzi, the ability to show off his imagination. The different aliens he comes up with and how they think different then us, makes for some thought provoking and funny situations. Some other reviewers have compared it to Star Ship Troopers and I see that, but I was thinking more of Forever War by Haldeman. It may have a little of both, but it is all Scalzi. Dufris does a great job. 110 sur 121 personne(s) ont trouvé cet avis utile. What made the experience of listening to Old Man's War the most enjoyable? 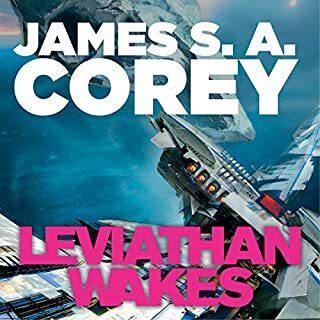 It was nice to finally read a science fiction book that actually was science fiction, not science 'fantasy'. The science fiction was understandable science, not pulled out of nowhere fantasy stuff that all to often is passed off as science fiction in our largely scientifically barely literate population. 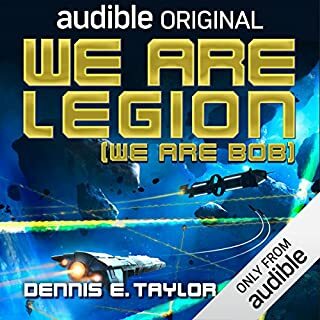 The first part of this book, reminiscent of Heinlein's "Starship Trooper", is a worthy homage. The second part is also a love story with emotional depth. The technology is part of the plot and not simply window dressing. I will look for other works by this author. I grew up in the 1950's in the hey day of Heinlein, Asimov, Norton, Dickson and other great hard Science Fiction writers. To a great extent the genre in trying to reinvent itself turned its back on the traditional Science Fiction Fan. John Scalzi's novels, like the juveniles of Charles Sheffield, have reinvigorated the old hard science fiction style. However, John Scalzi has gone Sheffield one better. Old Man's War, Ghost Brigade, etc have not only brought Heinleinian style Science Fiction back to life, but he has successfully put a modern spin on the style which gives a fresh perspective. Old Man's War is an amazing effort and like any good book it stands up to being read and re-read. 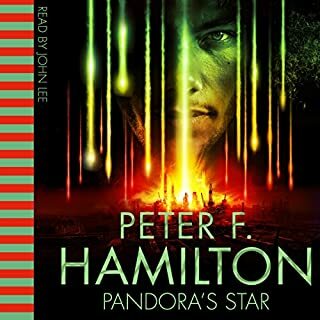 The audio interpretation is very well done and the reader gets a 5 star rating to complement the story itself. I really liked "Old man's War". This book has everything I wanted. Sci-fi, aliens, fighting, humor. I enjoy the type of book where you have a person who starts a new situation, learns about the univers and becomes a hero. Ussually it is from the perspective of a young person coming of age, going through bootcamp or some like training. The unique thing about this, is that it is from an old man's perspective. The writing is well done, the book goes quick. The alien races are an interesting mix. Good book. 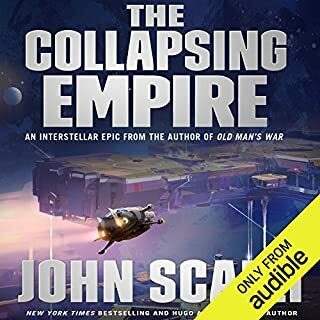 While it might be confusing to compare his book to "Starship Troopers" I do think that John Scalzi's "Old Man's War" owes much to Heinlein's story. Not so much in terms of politics or satire, but in charting an enjoyable course straddling hard/military SF and a more pulpy romp approach. 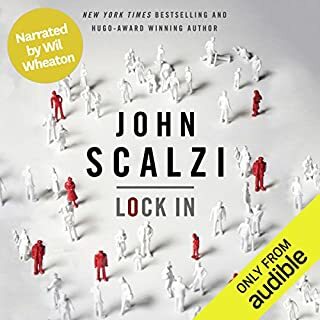 Scalzi does a great job of bringing John Perry to life, creating the eponymous "old man" and, while not really giving the character a background which makes his later military exploits fully believable, giving Perry a rich history and populating his star-spanning world with well-detailed friends and comrades. 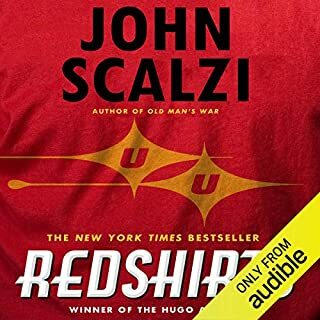 Scalzi comes up with several distinct alien races, really driving home the differences in motivation that some (the Consu in chief) bring to the table which escape human understanding. One fault I might raise with the story is that while the human characters all have some depth to them (even Perry's drill sergeant at basic training has a fairly rich personal history) no alien characters receive this treatment. 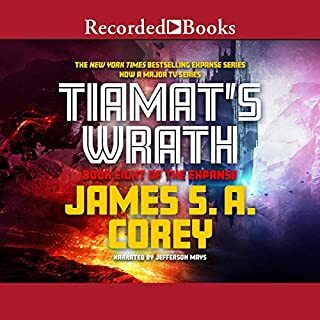 The closest comes in the form of a disgraced Consu negotiator, and perhaps this lack of insight into alien personality and personal history is more than forgivable as the story takes place from Perry's consistent point of view. For the most part, from skip drives to tachyon detectors, the tech livens the story, not dragging it down to detract from the main event: Perry's tale. Some scenes, as some of Perry's comrades lose their lives in mundane or bizarre ways, were heartbreaking. 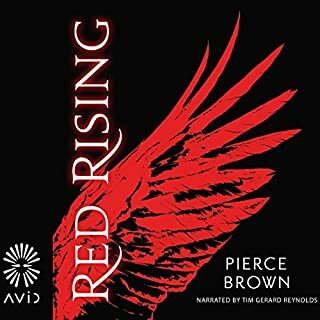 The ending left me wanting a little more, but I suppose it can be forgiven as sequels, both in the universe and for Perry's story, exist. 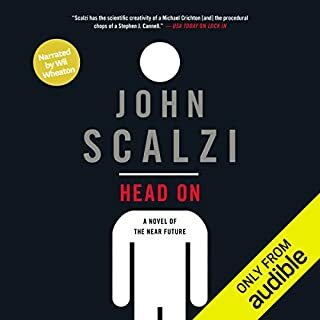 Scalzi has created a compelling universe full of characters that are worth caring about. 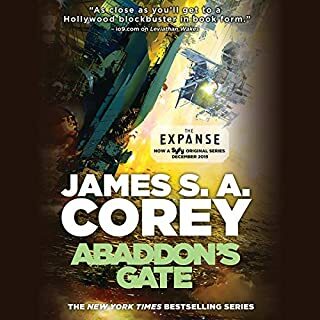 This is a great read for fans of the genre, if they haven't discovered it already, but also for those looking for a break from their current reading list.